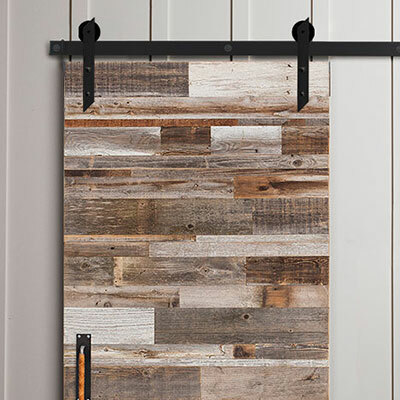 Barn doors are extremely versatile and can lend themselves to any size space -- saving you additional space in your floor plan in the process. 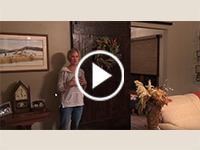 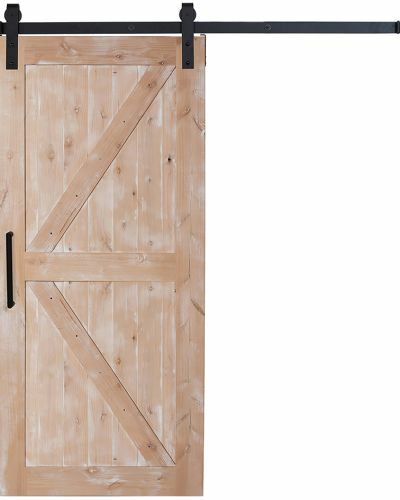 Larger entryway openings may require installing a dual sliding barn door and our bi parting barn door kit. 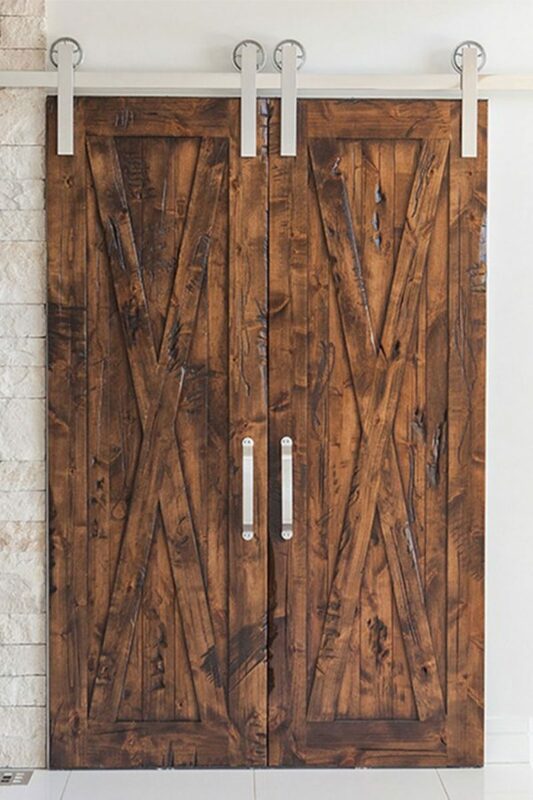 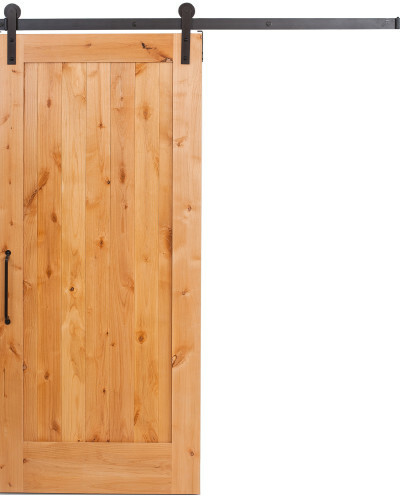 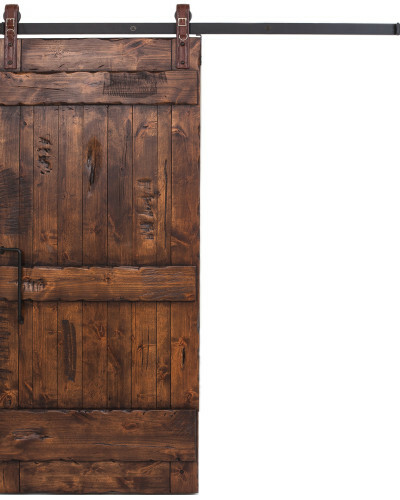 This Double barn door kit is stylishly sleek, yet unsurpassed in durability. 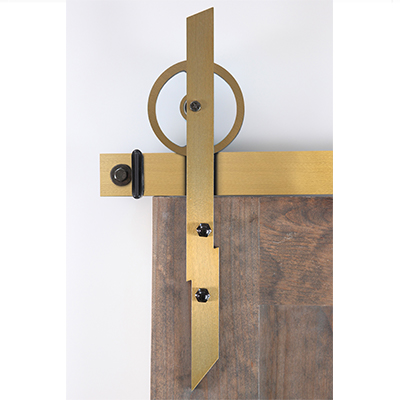 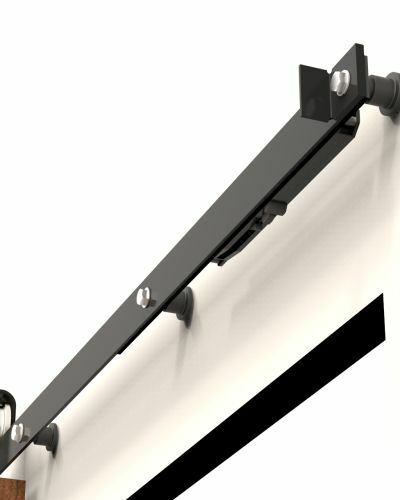 Our bi parting barn door and hardware system is state of the art and is available with any of our Hanger Styles and/or doors. 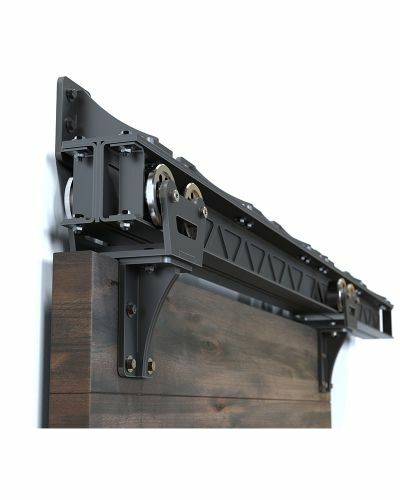 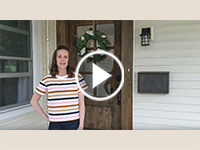 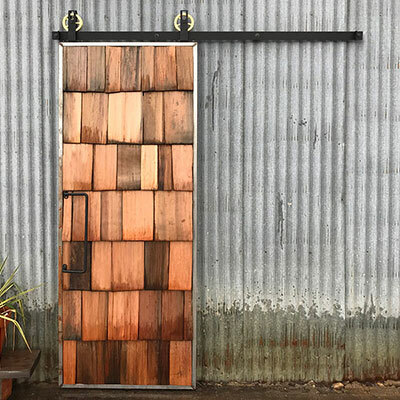 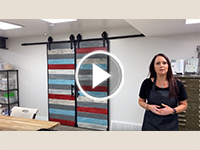 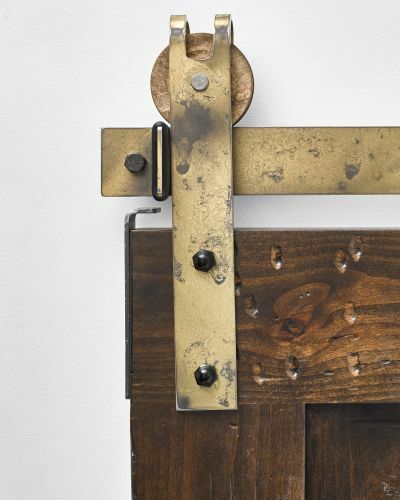 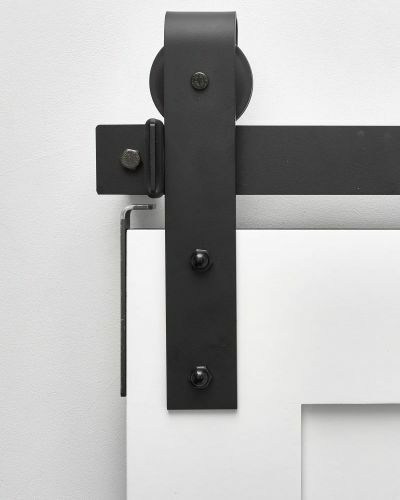 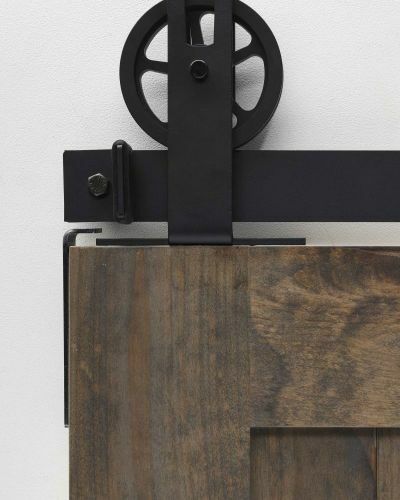 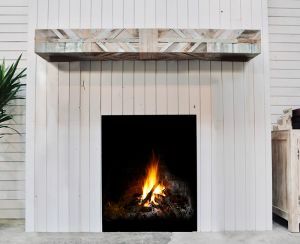 Made from raw steel and available in various finishes and colors, the double barn door kit is compatible and the perfect complement to our wide range of quality, handcrafted sliding barn doors. 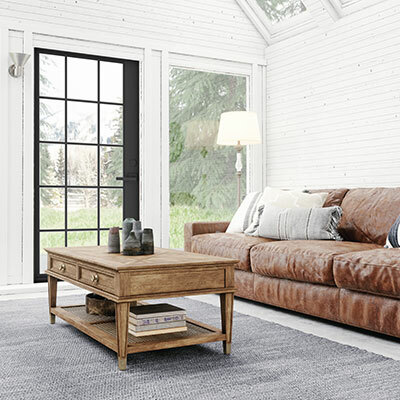 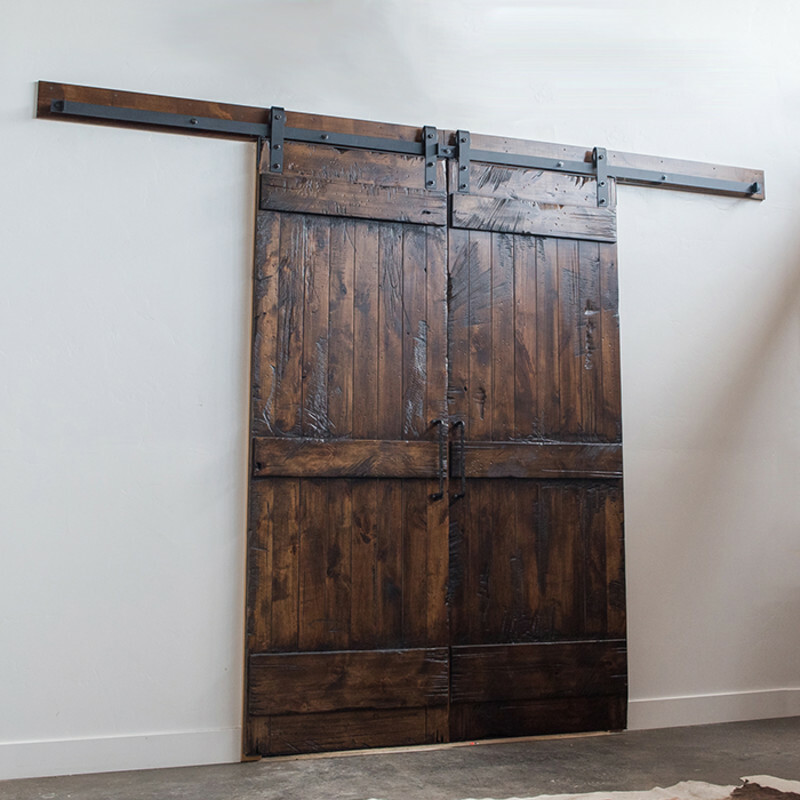 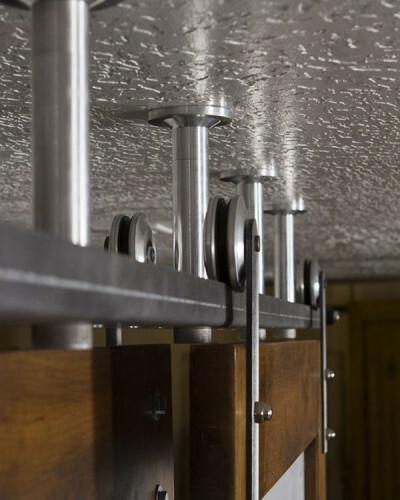 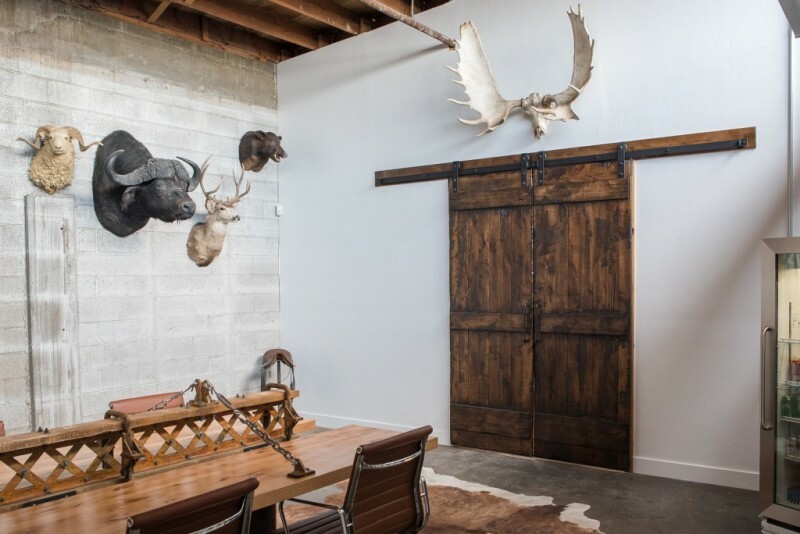 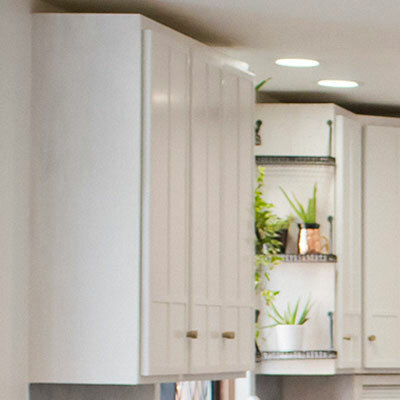 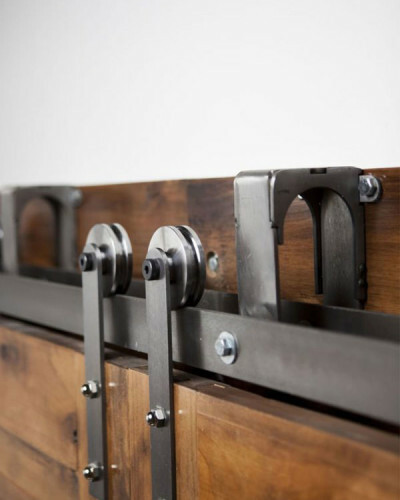 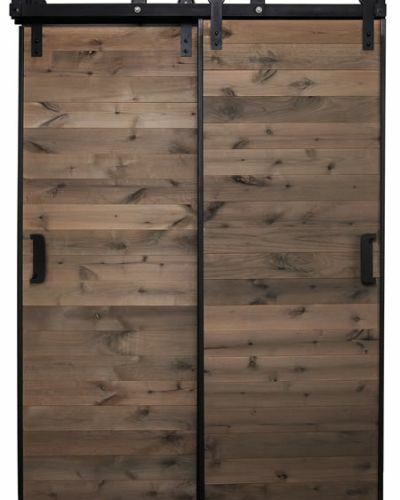 A great space-saving alternative for any room of the house that may require a room divider, our bi parting sliding doors and tracking hardware are a dream come true for barn door-loving enthusiasts. 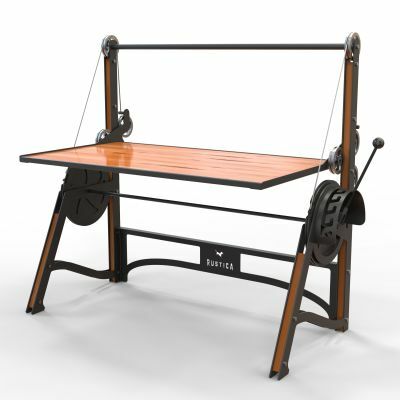 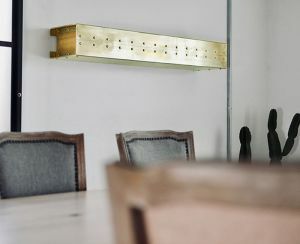 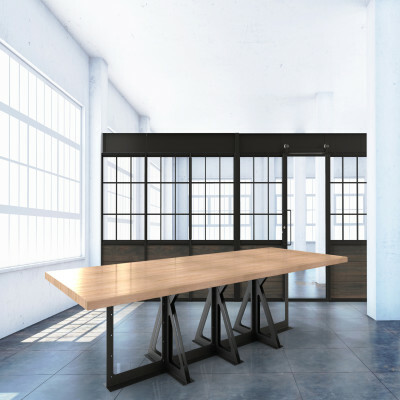 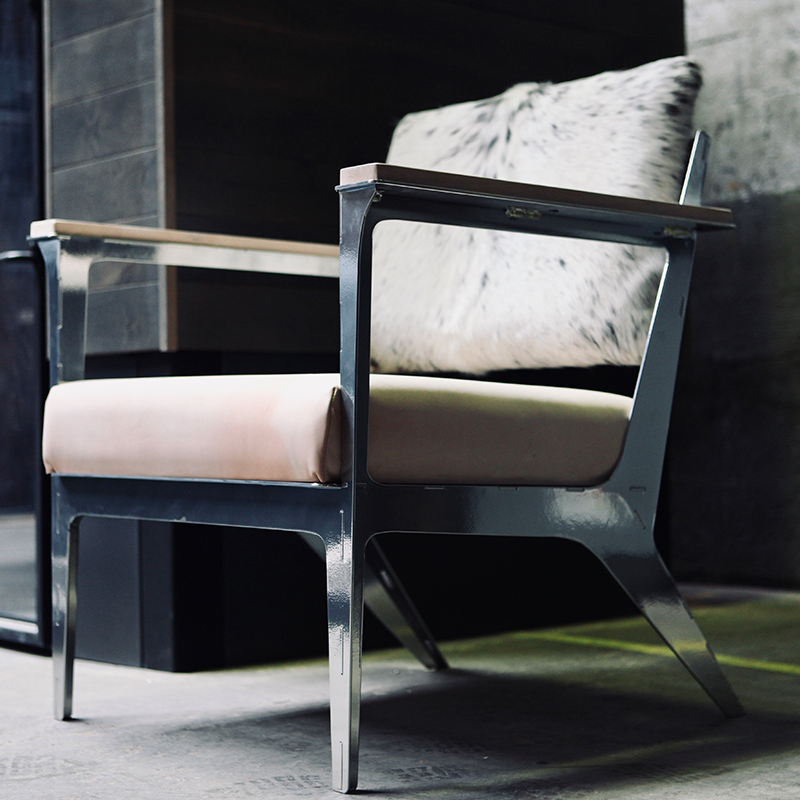 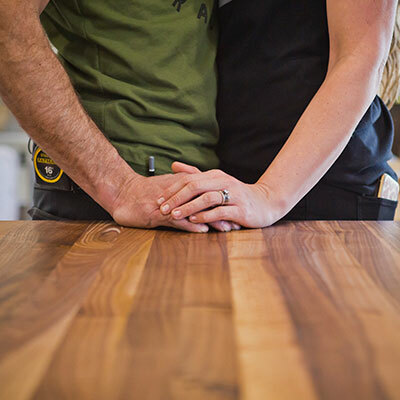 • Shown with our Raw Steel finish. 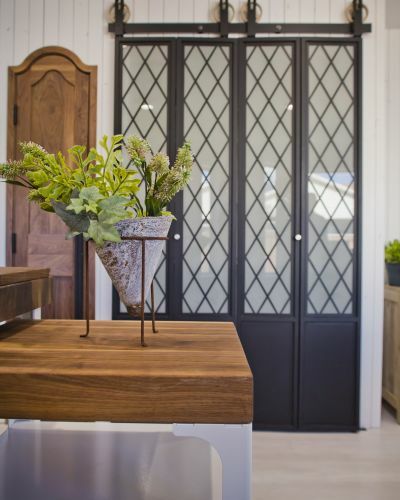 Check out our other Specialty Sliding Door Systems, today!